What is Header Bidding, how to use it and is it worth using at all? What problems does it solve and create? And why has it even appeared? You can sell/buy inventory through direct orders, programmatic orders, private/open RTB auctions or header bidding. Direct order is still used, being one of the first to appear. 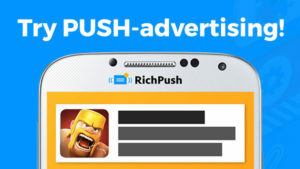 It is a direct advertiser-publisher deal, but with no targeting. Publisher sells just banner views. No targeting, a banner on a page, which shows up to every visitor until its budget is depleted. Why is it still being used? Well usually major publishers are selling those just because they can. They make more money this way and they maintain an aura of exclusiveness. Oh, well. They sell programmatic order directly without an auction. But here you have some targeting. Programmatic algorithms make an audience segment to show the banner to. Impression price here is also fixed and has higher priority. RTB auctions can be private or open. Only top tier advertisers participate in the private ones. Requests pass to open only if they were not sold through private. So you can see a pyramid. First inventory goes to direct buying, then to programmatic order and finally reaches the auctions. By the way, publishers are not very happy with current RTB auctions. They don’t get the income they want and the RTB system is absolutely non-transparent. RTB runs so-called Waterfall Bidding. Ad exchange questions advertisers one-by-one, trying to sell the impression. There probably are higher bidders, but they don’t get the request and even the ability to bid. Many publishers use Google Doubleclick AdExchange, which is OK, but it has a last bid right, which is bad. Basically it can outbid anybody by small bid, because why not. Sounds pretty unfair. Unfortunately there is no ultimately fair SSP, which gives publishers the highest bid and works absolutely transparent. Because we have about 50 major SSPs and dozens of smaller ones with different features. 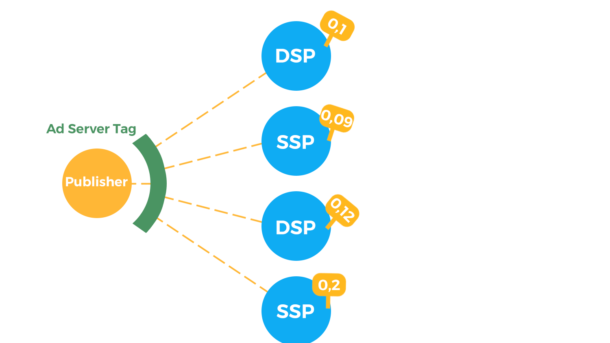 Average publisher has to change SSPs in an infinite search of higher eCPM. Header Bidding makes it automatically. HB Adapter connects a bunch of DSPs and SSPs to a single ad seat and sells impression for the highest bid. Header Bidding is called so (and also header auctions or parallel bidding) because the prebidding auction happens at the website header. You place Ad server tag or header bidding wrapper or adapter there and let it do its thing. DSPs and SSPs send the bid its advertisers can provide, that’s the pre-bidding. The actual auction happens at the winner-DSP and sells the impression. This way publisher is more likely to get a better bid since much more advertisers participated it the auction. No way AdX can cheat here. Google says header auction may slow down the website. That can be a pain and Google knows that. People may use adblockers which will lead to even more money losses. The thing is, AppNexus discovered that’s not entirely true. 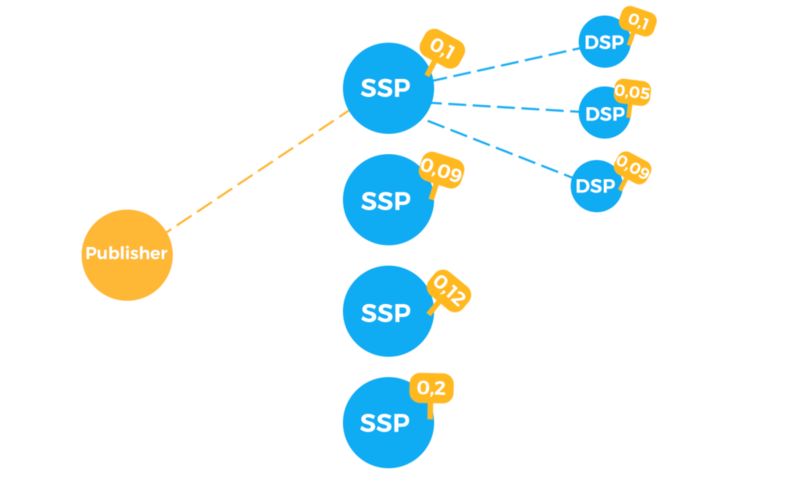 During waterfall RTB, SSP gets advertisers bids one-by-one, while Header Bidding happens simultaneously. So basically there is no much difference. 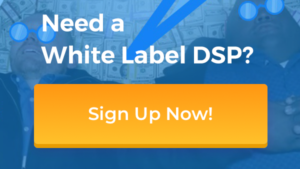 Are DSPs and SSPs getting out of business? No, publishers have to use adapters and wrappers by Google, AppNexus, Platform.io. So there is still someone between publisher and advertisers, but much more transparent. Header Bidding also has priority over other auctions and orders. Which leads to higher eCPMs for publishers and more possibilities for advertisers. Index Exchange claims that publishers get “up to a 30% lift in rates”, while PubMatic talks about even 50% CPM increase. Publishers earn more, so advertisers should spend more. Not exactly. Non top tier advertisers can’t get impressions from top tier apps and websites. But with the Header Bidding they can just pay more and buy what they want. Or they may buy the same inventory they were buying before. Sounds like a win-win situation for now. We’ll probably screw that up someday, though. Should I switch to Header Bidding? You should test if it’s good for you. Try a header bidding adapter for a couple of your ad seats and compare the results. It’s worth it if you get better results. And you can always go back if it’s not. Header Bidding can probably outrun waterfall RTB. It was a rather bulky and complicated solution, but now there are enough simple tools for you to improve your profit and efficiency.